it is crucial to have an anti-virus software protecting your PC 24/7. AVG Anti-Virus provides that protection, including access to the latest updates to protect against new viruses. It even handles email scanning so that virus don't sneak up on you. If you are trigger-happy with your digital camera, the GIMP (GNU Image Manipulation Program) is one application you should have in your sights. Matching Adobe Photoshop tool fir tool, the GIMP does everything from simple photo touchups to full-scale professional image production. If you have an always-on broadband doorway to the Internet on your PC, it is a good idea to put a gate there to stop unwanted visitors. Zone Alarm does that by blocking both suspicious incoming and outgoing Internet activities on your Computer. You can order a free SP2 CD from www.microsoft.com/singapore/protect or log on to www.windowsupdate.com to do a manual download. www.openoffice.org Open Office has all the tools of an office suite like Microsoft Office, but none of the cost. 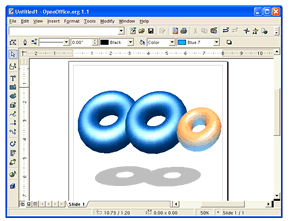 Featuring word processing, spreadsheet, slideshow presentation and drawing software, among others, OpenOffice works with virtually all major operating systems like Windows, Linux and even Mac OS X. Even better, OpenOffice can open and edit files from its Microsoft equalvalents (Word, PowerPoint, Excel and so on). You may have heard of the Linux operating system, but have been too scared to make the Switch. 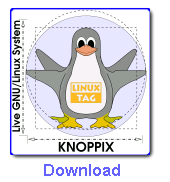 But with the graphic interface that has the look and feel of Windows, even newbies will be navigating Knoppix (a version of Linus) in no time. You can even run this OS Straight from your CD-ROM drive. You never know who might be keeping track of your surfing habits with software known as spyware, which tracks your surfing habits for advertisers so they can better target their ads, which can pop up on your screen at annoying times. Ad-aware scans for spyware and zaps it.